A bronze statue reminiscent of Hayden's commanding Laguna Seca victory now overlooks his hometown. 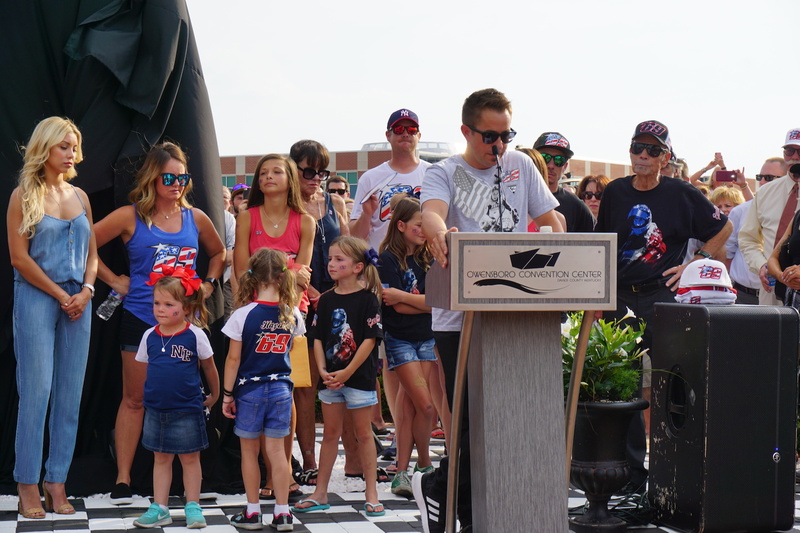 The Hayden family was joined by hundreds of fans, friends, city officials, and other racing personalities on the lawn of the Owensboro Convention Center, where a beautiful bronze statue of the 2006 MotoGP World Champion Nicky Hayden was erected on Friday afternoon. I made the drive from Indianapolis to Owensboro, Kentucky, a small town located west of Louisville that packs a rich history when it comes to motor racing. This was evident on Friday, when locals and tourists alike, many who traveled hundreds of miles to be present at the unveiling, shed tears along with the Haydens just a year after the famous rider lost his life in Italy. Fans gathered at the Owensboro Convention Center. 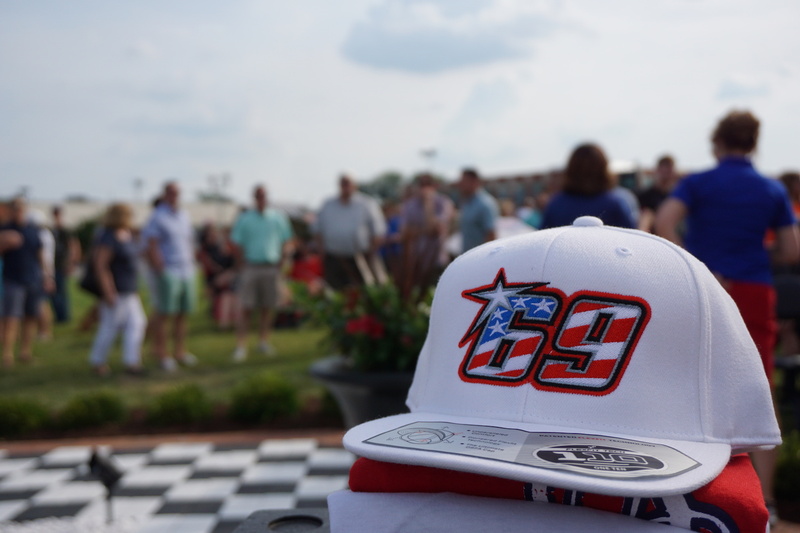 Fans from as far as the United Kingdom came to celebrate Hayden. A statue that stands nearly ten-foot in the air that's reminiscent of Hayden's legendary win at Laguna Seca in 2005 now looks over his hometown. The masterpiece was created by George Lundeen, a Colorado-based artist who worked closely with the family to reenact everything that made Nicky Hayden; Nicky. His smile and his hair were big challenges for this artist, but they were ultimately mastered, along with the extremely detailed racing gear. 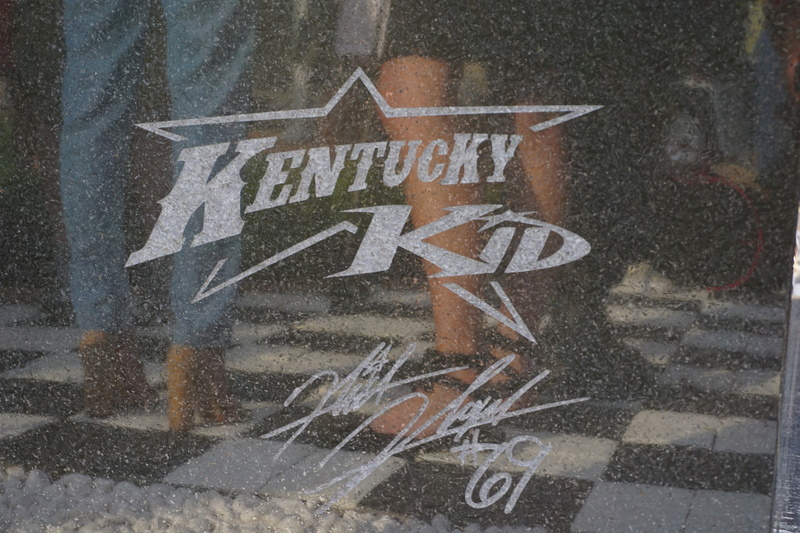 The granite base that holds the statue, which took thousands of man-hours to complete, lists the many accomplishments of Hayden and his famous "69" logo. 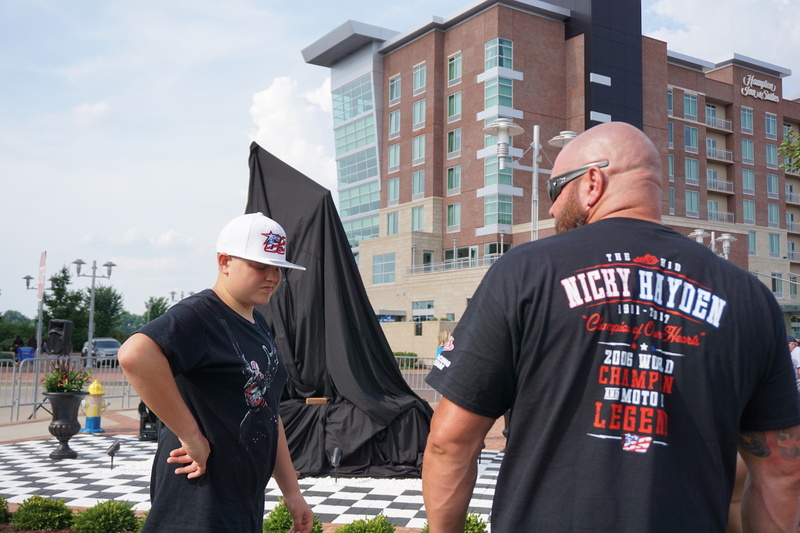 After standing in direct sunlight for over an hour in the 95-degree Kentucky weather, a breeze suddenly came over the area once the wraps had been pulled off the statue. This made the American flag in "Hayden's arms" wave fiercely, just like it did during every victory lap he took in his career. Needless to say, this was an emotional moment for Nicky's parents, Rose and Earl. 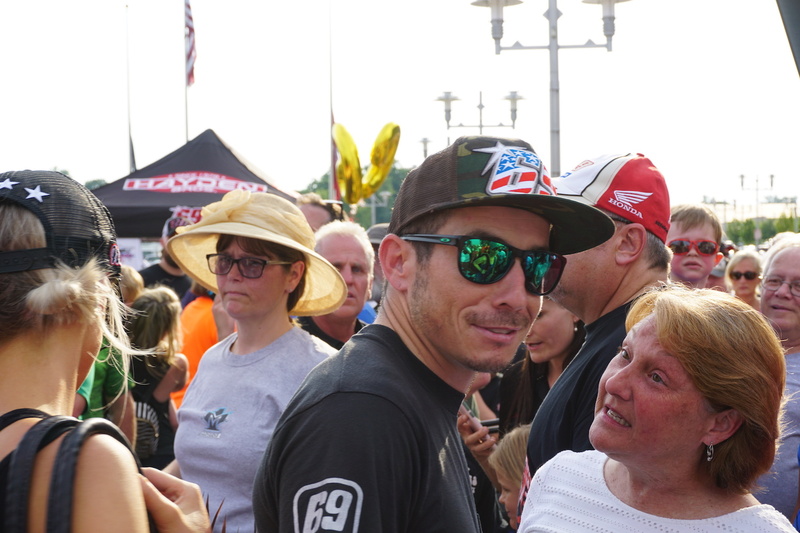 "There was a moment that we truly questioned whether a memorial and a statue was a good idea," said Tommy Hayden, Nicky's older brother. "Nicky never liked receiving special treatment, especially here at home. But ultimately, his fans wanted to pay tribute to his accomplishments, and they wanted a destination to ride to." Owensboro Mayor Tom Watson had the honors of unveiling the statue. 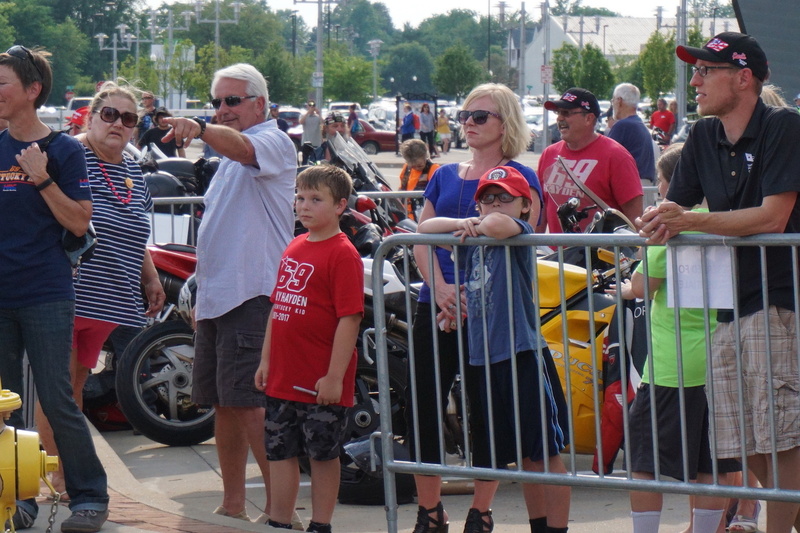 Owensboro Mayor Tom Watson also surprised the Haydens and locals by declaring June 9 "Nicky Hayden Day," as it represents his riding number when written as 6/9. Following the press conference, fans had the opportunity to get up close to the statue. The family stuck around to greet, autograph, and take selfies with everyone who requested it, which were many. This is yet another reminder that the Haydens aren't just world-class riders (mom, dad, and brothers are all involved in professional racing), but also world-class people.